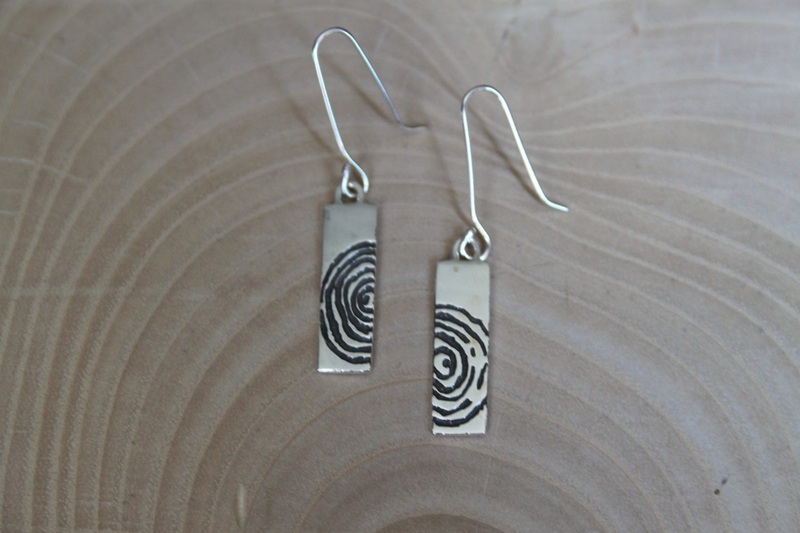 Solid silver drop earrings with a tree ring pattern etched into them with handmade ear wires. They have been darkened by a process called oxidisation so the pattern stands out more. I have two variations of this style, as shown above. Each earring is handmade and so patterns do vary. The full length including the ear wires is 48mm, they hang 24mm from the ear. 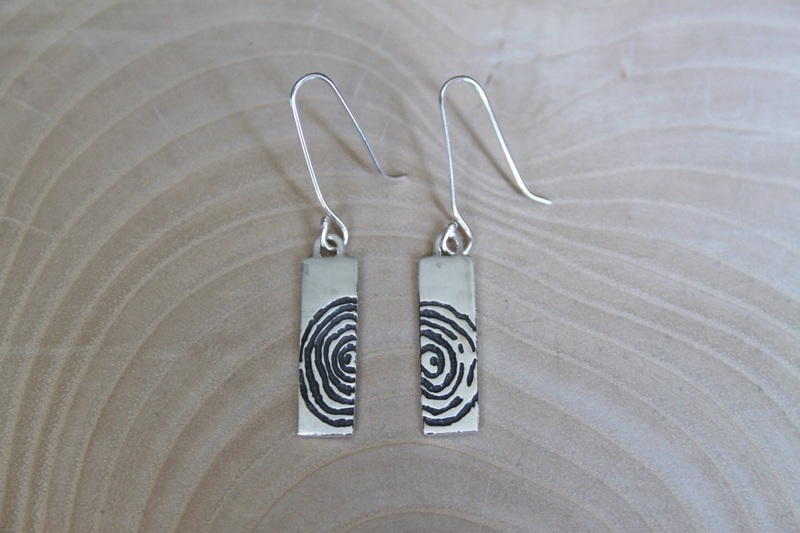 The dimensions of the solid earrings are 24mm x 7mm on 1mm thick silver. 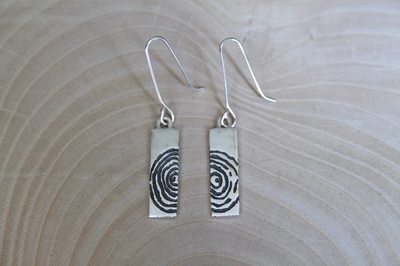 The earrings come carefully packaged in a lovely silver and black jewellery box.